Uses: Banquet Hall, Cafeteria, Education Colors: Blue, Red/Mauve Lengths: 13 panel 24'-1" Heights: 6'-0"
The dining service staff of Dickinson College came to us needed to section of a portion of their large dining hall to create a Grab & Go area for students. “Grab & Go is offered to the campus community as a quick service option for those with busy schedules. Open daily for lunch and Saturday mornings for travel lunches, Grab & Go affords the opportunity for customized lunches including deli sandwiches, hot entrées, soups, salads, snacks, and beverages.” states dining staff. 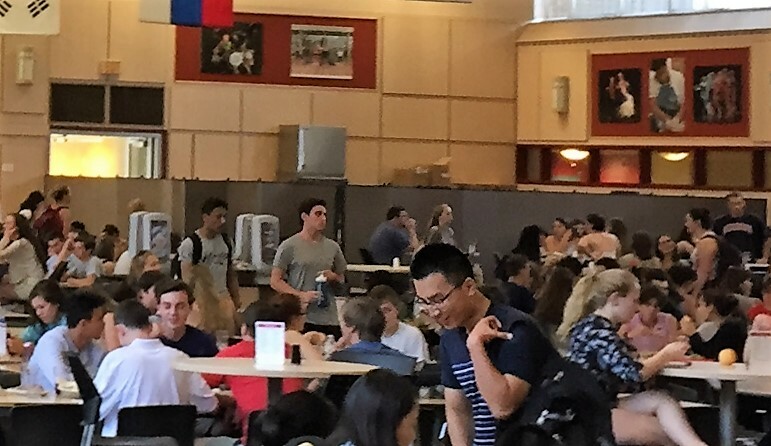 The problem was that students looking to grab an on-the-go meal would have to wait in long lines just to grab their quick meal. Dividers create designated areas for students to receive the services they need. 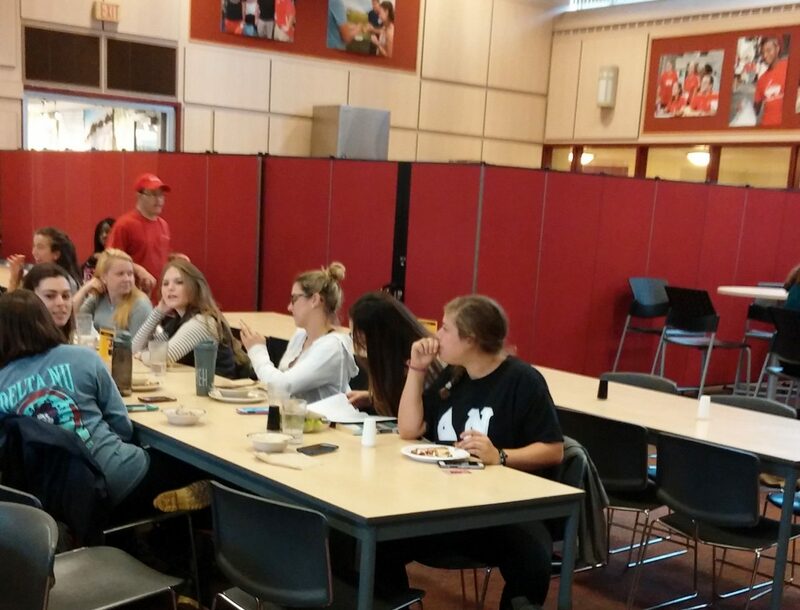 The portable walls on wheels make it easy to reconfigure your cafeteria space as your needs change. Create an allergy free zone, meeting room, portable classroom, or quiet study zone for staff and students. Use multi-unit connectors to lock dividers together to form one long continuous wall.